Evidently, there was only one Beatle in 1963. Previous Fa La La La La. La La La La. Hmm… What does a Western Party and the Beatles have in common. Rocky Raccoon? Happiness is a Warm Gun? Maybe, but then am I suppose to understand this one? I know, right? I can’t recall one C&W song on my Beatles Greatest Hits. 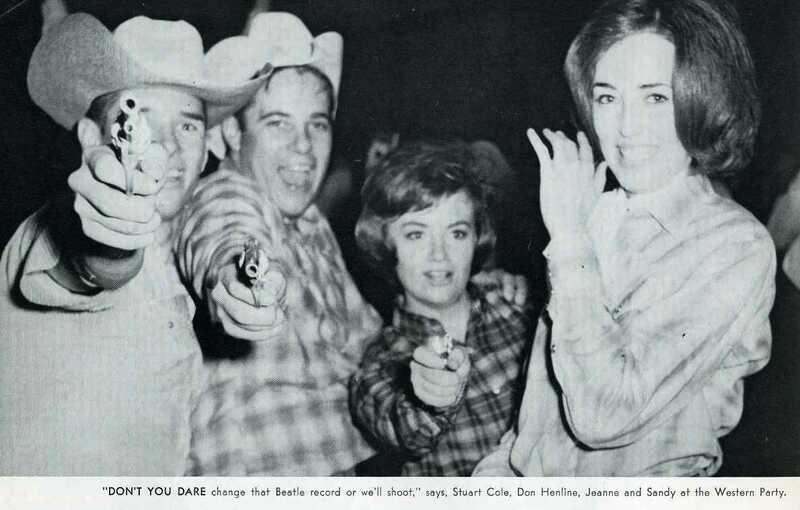 Then again, the Beatles were so big that perhaps they were played even at square dances. Oh, but they’re just so hipster in plaid and listening to records and all. I just switched to listening to the Rolling Stones, do I need to worry? No, they’re like 70 now and not quick on the draw.